Soft floral bouquets are scattered across this dimensional long-sleeve top. Soft floral bouquets are scattered across this dimensional long-sleeve top. 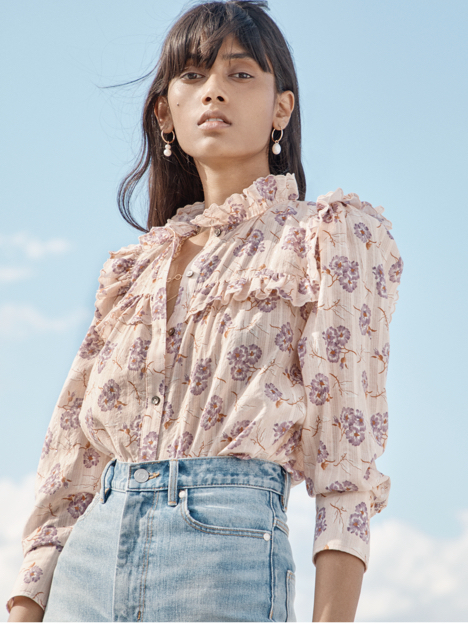 Crafted from a textural silk and trimmed with scalloped embroidery, this button-down exudes a vintage vibe that pairs well with denim.